For centuries, the Wicked Werewolves have been skulking in the shadows and staying underground in sewers and caves throughout Europe, Asia, and the Americas. Some prominent leaders on and off the battlefield have secretly been werewolves, using their positions and influence to aide their leader, Vincent Malakov, and his agenda for the pack. When the Rift happened, everything changed; the Wicked Werewolves are bolder and Malakov leads his brethren into battle against anyone who stands in their way. Beastly Wolfen are not werewolves but are a separate species of intelligent wolf descendents that live secretly alongside humankind. Many Native American tribes refer to the Wolfen as the true First Nation ("they might be gods"). The Rift drew these Wolfen out of the decaying ghettos and brought them to the attention of Vincent Malakov who recruited them. 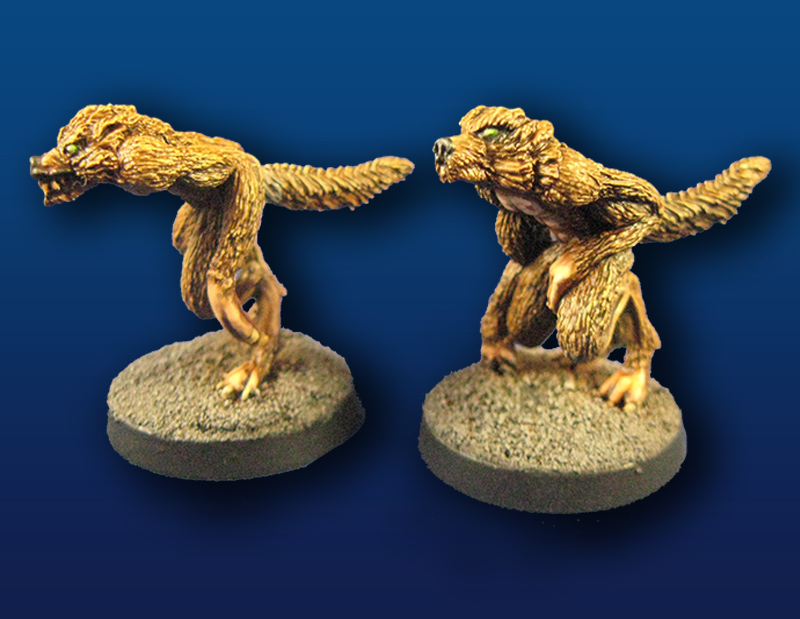 The Beastly Wolfen were originally designed and released by Fiendish Fabrications for use in Kaiju Kaos. When that company closed, we acquired the rights to release these miniatures directly. 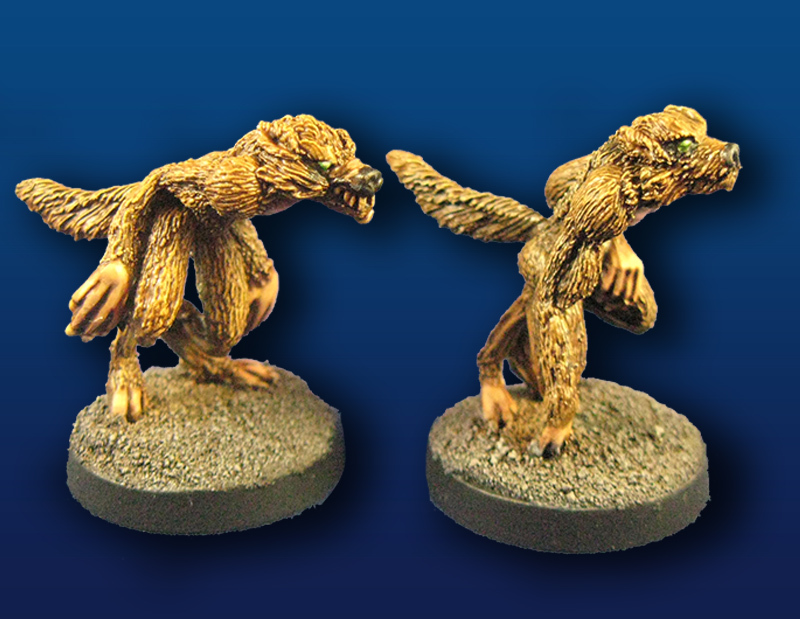 Each Beastly Wolfen requires a standard 28mm slotta base for deployment (not provided). 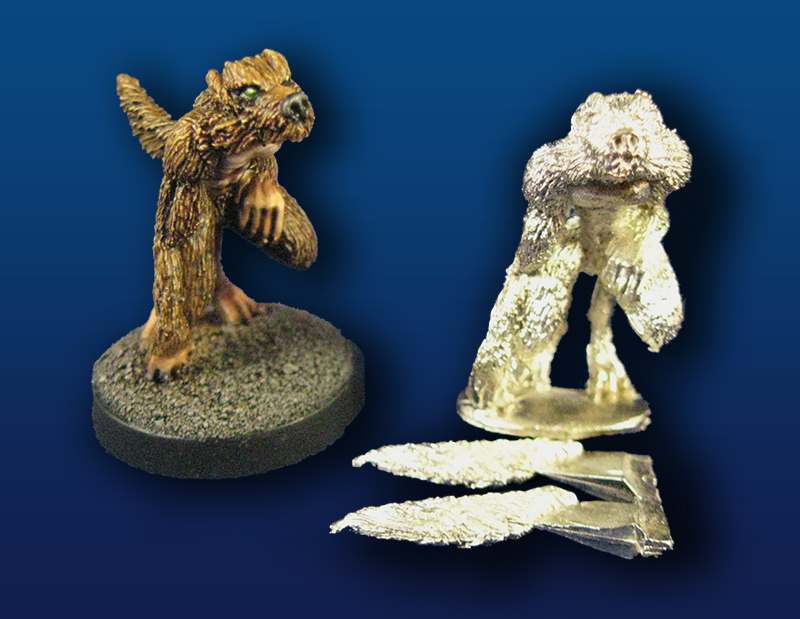 All Kaiju Kaos miniatures are designed for play with other 28mm (1:56 scale) gaming miniatures. Offical game stats are available at WargameVault.com.